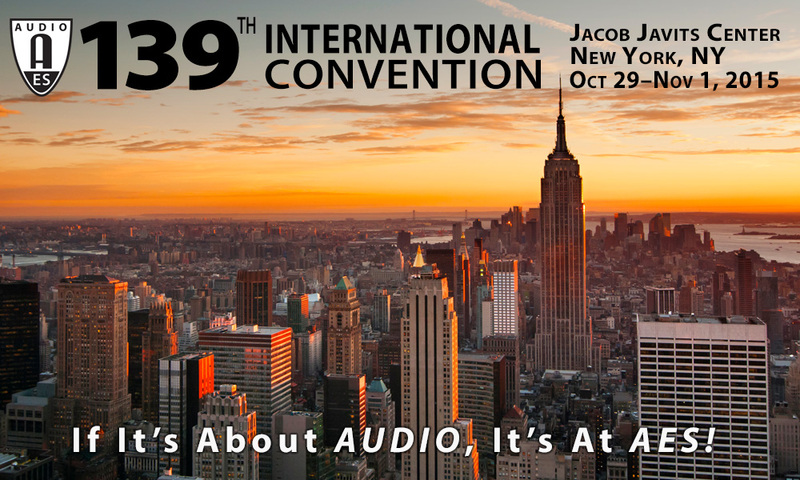 If it’s about audio, it’s at AES, and this year’s 139th AES International Convention is set to offer up a number of exclusive presentations and events, October 29 – November 1, 2015, at the Jacob Javits Center in New York City. Two popular programs making their return are the Live Sound Expo (LSE) and Project Studio Expo (PSE), both taking place on convention days 2, 3 and 4, and both accessible for all AES139 attendees with either a FREE Exhibits-Plus or Premium All Access badge. These Expos offer unique sets of programming that speak directly to these popular and growing segments of the industry. This year’s Live Sound Expo, produced in association with Pro Sound News, offers expert advice for the broad spectrum of live sound engineers – some 25% of Convention attendees – with an emphasis on practical applications. Bringing together industry professionals with decades of experience to inspire and educate attendees, this second edition of the AES Live Sound Expo follows its highly successful debut at last year’s AES Convention in L.A. This year the LSE will be broken up topically across the three days, addressing important segments of Live Sound and Sound Reinforcement slated to include a “Broadway Day,” a "House Of Worship Sound/Fixed Install Day,” and a “Tour Sound Day” – each with dedicated programs consisting of presentations and panels featuring industry leaders. Sponsors for the LSE include DiGiCo, EAW, L-Acoustics, Optocore, Sennheiser, Waves Audio and Yamaha. 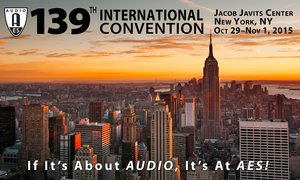 This event also illustrates the AES’s full commitment to the live and installed sound market, as it follows the highly successful 59th AES Conference, on Sound Reinforcement Engineering and Technology. Presented in association with Sound on Sound, the Project Studio Expo, returning after several successful iterations during recent AES Conventions, offers a venue for focusing on some of the most timely and relevant areas of interest to today’s personal and project studio environments. The PSE is intended to give home recordists a new perspective on how they can better use their tools and ears. Presenters will lead attendees through basics such as recording vocals, preparing multitracks for mixing and best practices for proper monitoring, as well as more detailed discussions on how to optimize value when it comes to choosing and purchasing equipment, how to design a great project studio, and how to get the most out of a digital audio workstation. Sponsors include Genelec and Neumann, with Prism Sound sponsoring a full day of “Mic to Monitor” event seminars and workshops on Sunday.